Nepal is a multi-lingual, multi-religious and multi-ethnic country. As a result, the number of festivals exceeds that of the days of a year. For some foreigners, these festivals are mysterious, colorful and pleasant. Moreover, they have a great deal more about them. They emerge from the depth of the socio-cultural aspects of life. The festivals have the mythological, religious and historical background. The ceremonies, as a whole, reflect a way of life, unique in its own place. Nepalese people pay homage to every element of nature; they mark the change of seasons and rejoice sowing seeds and harvesting. The official New Year, according to the Solar Calendar is celebrated throughout the country. The day falls in the mid-April the First the month “Baisakh”of Nepalese. People extend best wishes to each other and organize music and dance programs. In Bhaktapur, a historical town 12km, east of Kathmandu the New Year day is celebrated in grand manner observing religious rituals. The festival is called BISKET JATRA. It has its origin in the ancient history, legends and mythology. People relate with different stories about the festival; however they are more or less similar. To sum up the different stories, serpent demons and the marriage of an extraordinary princess believed to have taken place in the pre-historic time. On the day before the New Year, about eighty feet long huge pole, lingam made of a shore tree is erected with the efforts of thousands of people. The symbols of two dead serpents also are hung on the pole. In the afternoon of New Year’s Day an enormous crowd gathers around the pole and feels it amidst great cheers and rejoicing. It symbolizes the end of the old year. Mata Tirtha begins on the last of the dark fortnight day of April or early May. On this occasion, every Nepali looks upon his/her mother’s face. As it is the day shows respect, affection, and reverence to the mother formally by all of her sons and daughters come in front of the mother and offer various delicious dishes and bow with deep respect and affection to receive her blessing. She blesses them touching their forehead with her hand. Married sons and daughters living out return their house where they were born and the whole country rejoice in a festive atmosphere. Baishak Purnima is the day of the Full Moon in late April and early May is the greatest festival of the Buddhist and most of the Hindus as the day is believed to have heralded the Triple Blessing Buddha Birth, his enlightenment and his entering to Nirvana. The stupa of Swoyambhunath in Kathmandu erected some 2000 years ago by a Buddhist Monk becomes the center of ceremonial activities during the festival. Butter lamps and electric bulbs illuminate the whole areas. Thousands of devout Buddhists from the different parts of the country come to the places to spend night fasting in Buddha’s name and chanting prayers for the enlightenment. The festival starts n the last week of May or early June. It is celebrated to offer worships to Machherndranath, the merciful patron god of the valley of Kathmandu and the god of harvests. This spectral festival reflects an important aspect of the socio-cultural life of the valley and its last for several days. Rath of tremendous size about 48ft tall is prepared at Pulchowk and hauled through the city of Patan in several stages and it is finally taken to Jawalakhel in an auspicious moment carefully calculated by astrologers. The festival culminates when the sacred waistcoat (PHOTO) is displayed for the entire populace to behold. There are many myths related to the festival, however the most influential is that the festival is celebrated to commemorate the arrival of Lord Machhendranath to protect the people pf valley from a fearful draught. The deity is believed to have brought rain with the help of serpent deities. This festival is celebrated in late May and early June to mark the birthday of Lord Shiva and Parvati’s son Kumar. He is believed to have ended the anxiety of 33 million gods by defeating the demons. The actual festival possession jatra is held on the day following his birthday. His idol is taken out from the temples of Jaisidewal in the north-west of Kathmandu and kept in an ornate, gift reefed palanquin. The procession bearing the palanquin moves around the city streets where on lookers and the devotees offer worship. The festival comes to the conclusion when the idol is kept in the temple again. This festival is celebrated mostly in Sherpa communities in the month of Ashad (June-July). 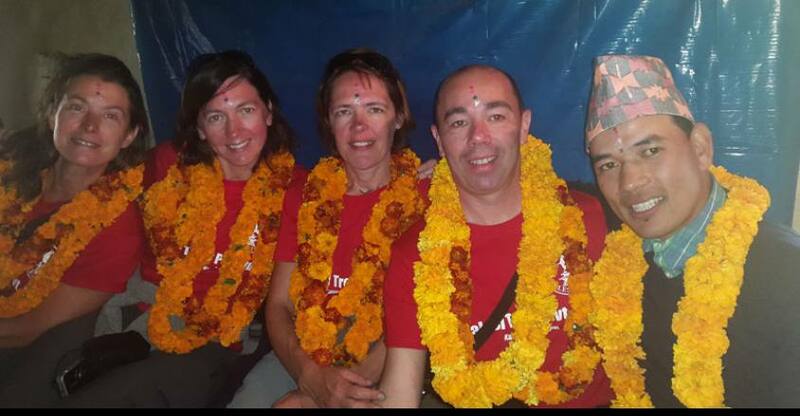 This merry festival is observed with great enthusiasm in Helambhu and Khumbu region. In this festival, Lamas perform rituals. All the Sherpas including Lama dance with the mixed feelings of solemnity and mirth. Fifteen days before and fifteen days after the full moon of late August or early September comprises the sacred month or GUNLA. These thirty days are holy for Buddhist populations. This is a very interesting festival of difficult fasting, solemn prayers, religious music, and singing. Swoyambhunath of Kathmandu is the center of all these activities. The day of the snake gods, the fifth of the brightening lunar fortnight late in July or early August is celebrated to offer worship and to show reverence to serpent gods believed to be dwelling down patal, the Nether world. This festival is being observed because of the belief that the snake gods, when assuaged bring sufficient rains, prevent water fountains from drought, cure disease, and guard treasures. A special offering of milk, ghee is made to please the snake deities near water spouts, pools, springs, and streams. Pictures of snake deities are made and posted on front doors on this occasion. This festival is celebrated on the full moon day of August. This is the day of the sacred thread, a yellow string worn about the neck and underarm beneath the clothing of higher cast Hindu-Brahman, the learned priestly class Chetris originally rural and warriors. The wearers observe certain religious rituals and undergo through fasting to make themselves; clean and worthy enough to receive the sacred thread since to wear such a thread symbolizes that the person has control over the body. On the same day men, women and children of every caste of Hindu religion wear the sacred yellow thread called RAKSHA BADHAN. Raksha means protection and Bandhan means bond. The Gai Jatra takes place after the full moon day of August – September. Pratap Malla King of Malla Dynasty is said to have started the conversion of celebrating the festival in the 18th Century to console his bereaved queen by showing her that every household is compelled to depart his/her kinsfolk. The 8 days festival begins when the householders whose family members have died within the year send a small procession consisting of people impersonating cows, a priest and a band of traditional musicians. The cow procession is sent to arrest the departed soul to get to the heavenly abode as it is believed that it has to cross a river called Vaitarani the river of fire, blood, and pun, the cow will help to cross the river. Almost all the householders on the way offer home brewed beer, bread and coins to the participants of the processions when it passes by presenting pantomimes of various activities like planting rice, sowing seeds, filling lands etc amidst the defining choir of traditional musical instruments. The eighth day of the dark lunar fortnight in August or early September is the birthday of Lord Krishna the incarnation of Lord Bishnu. This festival begins on the seventh day of the dark lunar fortnight as the Hindu devotees throughout the country being procession carrying ornately clothed idols of Krishna. They sing ancient hymns depicting miraculous birth extra-ordinary childhood, divine love and various deeds of valor of Krishna. Krishna Mandir in Patan is the center of such religious devotees in the valley. The last day of the dark fortnight in August or early September is the auspicious day for honoring fathers. Sons and daughter offer sweets and other delicious foods to their father and receive the blessing. Those whose fathers have died perform abstemious purification rites necessary to bring peace of departed soul. On this day people flock to the sacred shrine of Shiva at Gokarna. They take bath in a river nearby and perform religious rites to honor the memory of their father and to bring peace and tranquility to the departed soul. Those with living father also do not fail to go there. This festival reflects the strength of family bonds in Nepal. Teej is the festival, which lasts for three days ends on the fifth day of the new moon in the August and early September. On this festival, Women take heavy fasting for 24 hours. The fasting is performed for the well being of one’s husband. Even unmarried girl take part in the rites with great enthusiasm because of the belief that the great god Shiva will bless to have a good husband. According to the Hindu mythology goddess, Parvati performed severe penance on the occasion and she got great Shiva as her husband. The festival ends with Teej Puja in which they invoke the gods on behalf of the husband. Women take both in holy rivers preparation for the puja. On this day, the women are decorated with bright red saris, gold ornaments and dance with singing. This festival is celebrated on the waxing moon in September. On the night, this festival begins. Members of the families in which death has taken place within one year go around the town limits of Kathmandu burning incense and putting lamps along the routes. In the morning of the first day of the festival, priest and the court astrologers’ direct people to erect a huge tall pole as symbol of Indra’s standard in front of the Hunaman Dhoka palace and worshipping it. Idols Indra are brought from the temples and placed on high scaffolds. Similarly, large wooden marks of Vairana are displayed. Religious dance like Devinach, Lajipat Lakhe, Vhairava and Bhakhu and Mahakali nach are performed according to the religious rituals. In the same week chariots of Ganesh, Vhairava and living goddess Kumari are hauled in the streets of Kathmandu. Bada Dashain is also called Vijaya Dashain is celebrated during the bright lunar fortnight. It is the greatest festival of Nepal. People of all casts and creeds celebrate it with equal enthusiasm at the end of September and beginning of October. The festival is celebrated to commemorate the victory of goddess Durga over hideous demons, Ravana. Thus festival is symbol of the victory of good ever evil. During the festival various forms of Goddess Durga worshipped, animal sacrifice are made, blessing from the elderly kinsfolk sought and public parades, ancient processions and traditional pageant are held. The first day of the festival begins with Ghatasthapana, establishment of the holy pot and on the days that follow, various forms of Durga, Bhavani, symbolic of power are worshipped. The concluding day is called Tika in which the elders of the family give Tika to their junior members and to other relatives who come to seek blessings. Tihar also known as Dipawali and Yama Panchak is celebrated for 5 days at the end of October or in the beginning of November. Dip means light, so the festival is called festival of light. All the houses and even the street corners are illuminated by butter lamps and electric bulbs. The five days are called Yama Panchaka because the whole period is dedicated to the worship of Yama the God of Death. The festival begins with worship of crow and concludes with Bhai Puja (worshipping brothers).The first day of Tihar also called Kaag Bali is the day of the crow. Crow is believed to be the massagers of Yama. Every householder offers various delicates to this bird. Dogs become centre of attention on the second day. Dog is worshipped according to the religious ritual. Tika is mark of blessing on dogs’ foreheads on the creature along with garlands and feed them various delicious items. The holy cow is worshipped on the morning of the third day and Gobardhan Puja performed to commemorate Krishna’s of lifting the mountain Gobardhan to protect his peoples from a terrible rain and floods. The festival comes to the conclusion and put Tika on brother’s foreheads and put garlands made out of Marigold on their necks. This festival falls on the fourteenth day of the dark lunar fortnight in a November or early December. It is observed to bring peace to the departed soul of the ancestors and to honor the memory who through no fault of his own because a fearful demon and was killed as a result. Thousands of pilgrimage from the various part of the country gather around the temple of Pashupatinath the day before the festival and perform penance and keep vigil throughout the night. In the morning, they scatter a hundred varieties of seeds’ in Kailash and Shleshmantak areas forest of Pashupati under the belief that they sow seeds now their dead ancestors would reap the fruits. This festival falls in late November or early December. It is celebrated to commemorate the memory of the marriage of Sita and Ram, an incarnation of Lord Bishnu. The purpose of the incarnation was to kill Ravana, the ten-headed demon and this marriage have special significance in the Hindu mythology as Ravana according to Ramayana were to kidnap Sita. Thousands and thousands of pilgrimage crowd Janakpur, where the temples of Ram and Sita are situated. On the first day of the weeklong festival, they dress the idol of Ram as a bridegroom and carry in a reenact of Hindu wedding ceremonies. Not only Nepalese but also the pilgrims from India in large numbers take parts in the procession. Mani Rimdu is the very important festival of Sherpas which celebrated on the full moon day of November – December. Masked lamas of Khumbu region perform various religious rituals amidst dancing and singing. Loshar the Tibetan New Year’s Day which falls on the first day of the bright lunar fortnight. On this day perform ancient forms of dances that have an unusual rhythm. The festival continues for weeks during which hearty feast are arranged. This festival is being celebrated by Gurung, Tamang and Sherpa communities of Nepal. Capricorn celebrates this festival to mark the entrance of the sun into parts of the zodiac. AS the course of the journey taken by the sun in this time is called heavenly, people take bath in river confluence. Grand feasts also are organized on the occasions. Sri panchami represents the spring season of Nepal. It falls on the 5th day of the bright lunar fortnight. On this day, Basanta Shrawan a religious function is held at the courtyard of Human Dhoka palace. It is also the festival celebrated to honor Swarswati, the Goddess of knowledge. Thousands of school and college students offer worships at the temple of Goddess Swarswoti. Books, pens, musical instruments, ink and spinning wheels are also worshipped on the occasions. Sarswati temples of Swoyambhu and Gairidhara are the center of such religious activities in Kathmandu. The full moon of February concludes the month-long fasting of Swasthani and recital of Swosthani Mathatmya, a sacred religious text. Hindu women keep vigil throughout the night. In the morning they take bath in river confluence and worship the symbols of sacred phallus Lord Shiva. Shiva Ratri virtually meaning “The night dedicated to Shiva” falls on the fourteenth day of the waxing moon in late February and early March. On this occasion, Hindu devotees crowd at all the Shiva shrines of the country. They take bath in Holy River and perform penance and keep vigil throughout the right singing ancient hymns and praying Shiva with his 1008 names. The temple of Pashupatinath in Kathmandu is visited by millions of devotees from different parts of Nepal and pilgrims of India. They camp around the temple and all the lodges and guesthouse is filled with pilgrims. Oil-fed lamps and electric bulbs illuminate the whole area. The sweet smell of incense rhythm of hymns and chaotic Clinton the crowd altogether given the impression of different age, removed from ours. In the afternoon an official programme is organized to celebrate the festival. The eight-day festival begins with the installations of a tall bamboo pole tapped with their umbrella-like tires; each fingered with colorful strips of cloth at the eighth days of the waxing moon in March and concludes the full moon day. Peoples throw colored powder and water at each other during the day. According to Hindu mythology, the festival is observed to celebrate the extermination of a demon Holika who had tried to burn Pralhad devout devotees of Lord Vishnu. This festival is celebrated at the fourteenth day of the dark wax fortnight of March-April. A demon called Gurumapa is propitiated and the idols of many gods are carried a small chariot by the procession of thousands of peoples. A meeting of deities such as Lumahri, Bhadrakali, and Kankeshwari take place during the day at Ason and at night at Tudikhel. The Nepal Army at Tundikhel organizes the most spectacular show of horse race and acrobatics. Dashain is observed on March-April too. However, this one is not as the one observed in September-November. This Dashain is named after the month in which it commences. Chaitra being the name of a month in the Nepali Calendar, significance as people offer worships to goddess Durga symbolic of power. This day fall on the 9th day of the bright lunar fortnight in March-April. Rama the direct incarnation of Vishnu and the epic hero of Rayamana is worshipped on the occasion. Pilgrims from Nepal and India go to Janakpur to offer worship in the Ram-Janaki temple. In addition to the ones described above, there are many other interesting Nepalese festivals which are important in various ways. Many days are devoted to marking the events and activities national significance. Furthermore, being a member of the UN Nepal observes many international days.